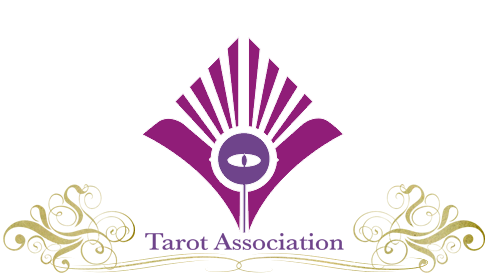 Take your Tarot deck and separate out the 22 Major Cards. These are the cards usually with Latin numerals in most decks such as the Magician (I) and the Hanged Man (XII) or numbered 0 – 21. 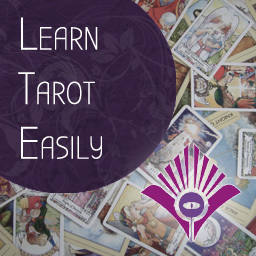 If you do not yet have a tarot deck, here is our recommended list of decks for beginners and a full list of fifty popular decks for every level of reader. Before we can use these 22 cards we have to decide our personal meanings for each card rather than “book meanings”. You do not need to know every possible meaning in every book for every card, just let the powerful image suggest a meaning. 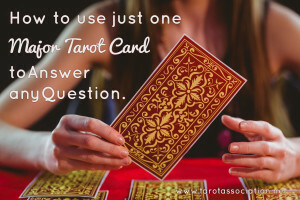 In completing that simple sentence, you automatically, naturally, quickly and easily communicate with the archetype, tune into it, condense everything you have learnt about the card and discover the core of it – the FUNCTION. The function of the archetype that is illustrated by the Magician is to carry “magick” in the world and our relationship to it. The function of the archetype that is illustrated by the Tower is to hold all notions, concepts and examples of sudden change or shock. And so on. Now you can shuffle all the 22 cards and think of your question or situation. Select out ONE card when you feel ready. Look up the word you used to say what that card MAKES, for example “change”. What ACTION should I take that would MAKE the same thing as the CARD? So if I had drawn the Tower card and had the word “change” against it, the card would be saying I need to take the decision that would also make change, not keep things the same. That is to say, if I pulled the Magician, I would have to ask, what action (buying a new car OR keeping my current car) would also MAKE MAGICK? 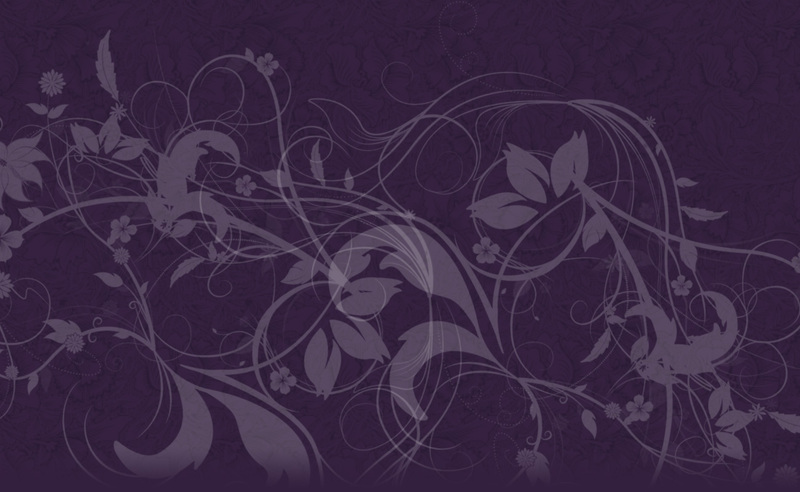 To me, making magick is about changing things, at the very least, so that function would be served by buying a new car. The fact that Mercury corresponds to the Magician, etc., backs that up, but is not necessary to know. If I got the DEVIL card for the same question, I would realise that keeping my current car would be quite mischievous, rather than buying something brand new and obvious. The fact that the Devil has chains and signifies something we are attached to is useful, but not necessary to know. For you, it might be the other way round, but this method is about your relationship to the universe through the archetypes, not our meanings. So, go through the 22 Majors FIRST and write down what each one makes, like this … This [CARD] MAKES … [your word]. Then, having fixed your answers, think of a question, pull a card from the Majors only. Then choose the action that will also function to make the same thing, and you will have your answer. Enjoy! We’d be delighted to hear how this works for you!